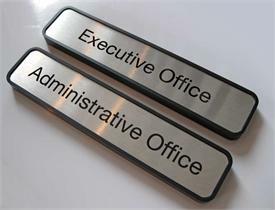 Custom 10" wide x 9" high metal sign with up to (5) 1" high custom message sliders. 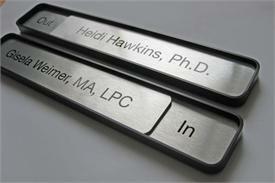 Brushed Silver, Gold, Copper or White sign plates with Helvetica font or custom font and text as per customer specs. 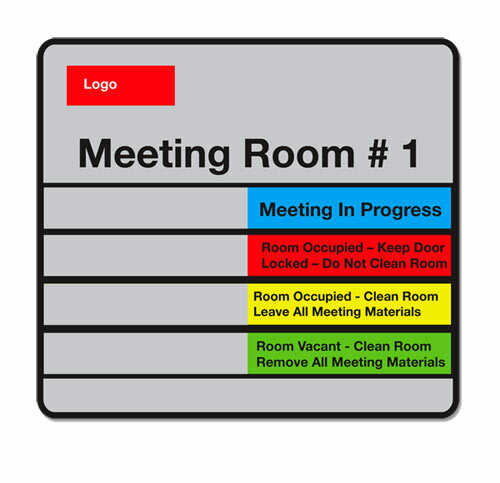 Free personalization and color coding features. All custom slider materials with standard metal colors or color-coded description areas on slider's left/right sides. Custom sizes and custom slider configurations available upon request. 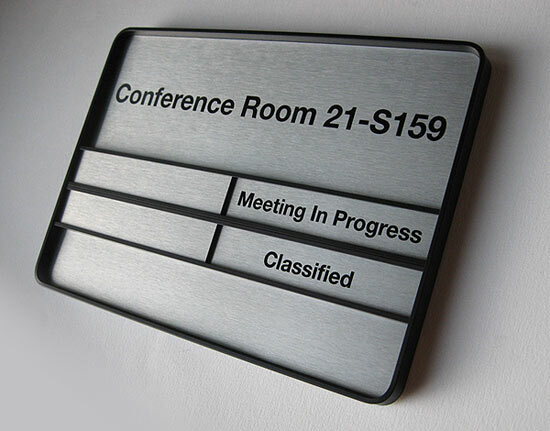 Custom Sliding Office Signs, Sliding Message Room Signs & Custom Color-Coded Signs for Doctors, Military Offices, Medical Facilities, Emergency Room Signs & Hospitals. 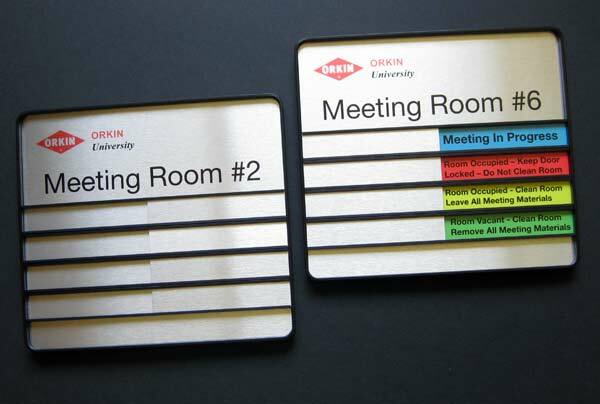 Color Coded Door Signs. 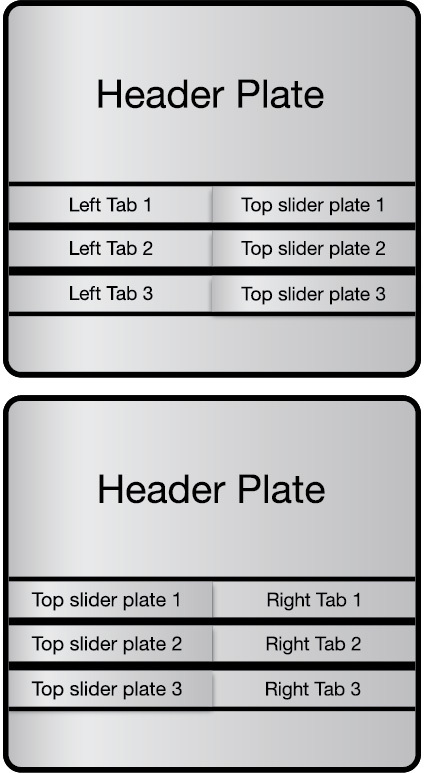 Personalize the slider plates AND slider areas (up to 5—choose correct Sign Size/Style above). 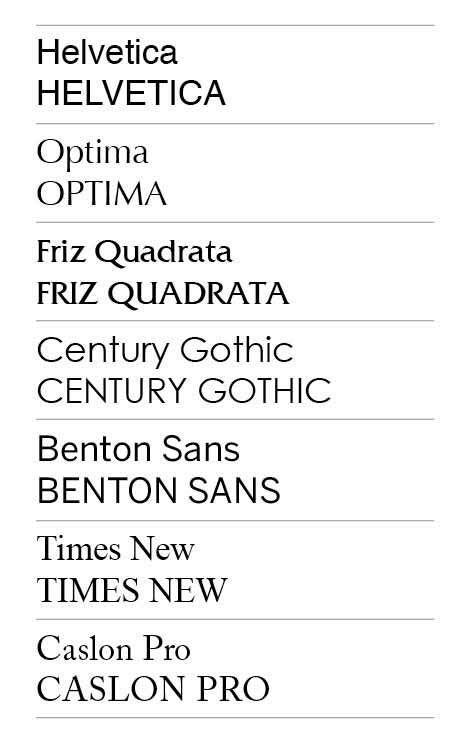 Indicate line breaks using slashes (/), include punctuation if so desired and indicate BLANK if no text . 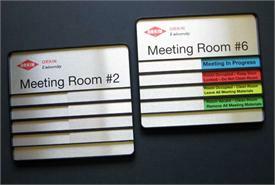 Premium meeting room and conference room signswith a sliding tab to display room availability. 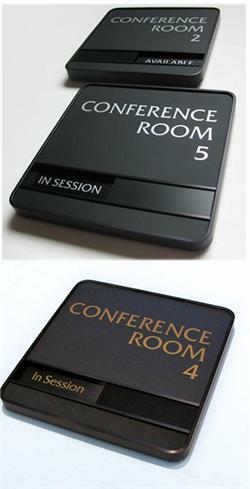 Rich gold, silver or white lettering to enhance any professional office, law firm or conference room. Custom 10" wide x 9" high metal sign with 7 changing message slider areas. 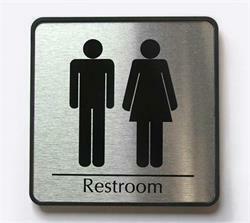 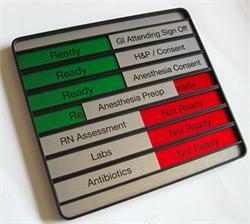 Up to 7 custom sliding sign channels to display custom messages such as Available, In Session, Ready/Not Ready, In, Out. 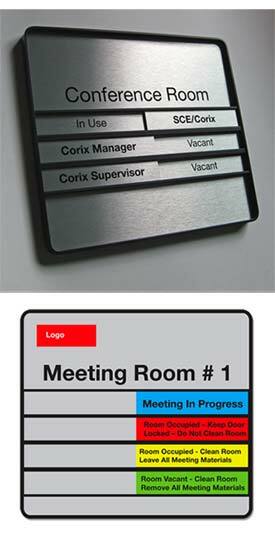 13 x 2 sliding message door sign with architectural quality metal frame and fully personalized name plates. 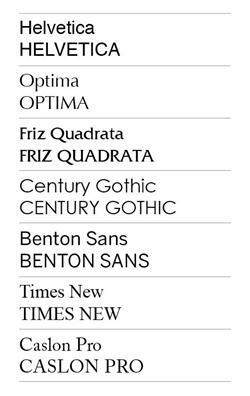 Customize any portion of the text on this slider sign. 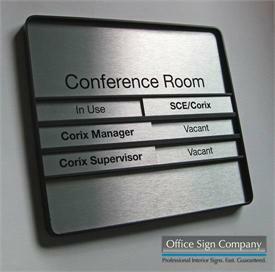 Default sign reads "Conference Room" with sliding message reading "In Session" & "Available"